BHU UET 2019 Admit Card will be Releasing Soon. BHU UET 2019 means Banaras Hindu University Undergraduate Entrance Test. BHU UET 2019 Exam Dates has been Revised. In these exams, candidates will get help for applying for UG courses. 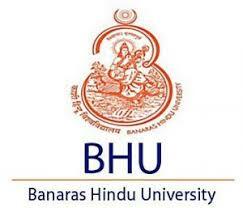 Banaras Hindu University helps the entrance test for UG candidates. 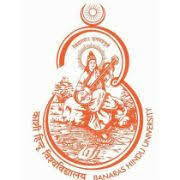 The Banaras Hindu University started a long time back in the year of 1916, and this university was not only offered for UG courses but to many PG Courses which is online. BHU UET 2019 Exam Dates has been Revised. Click Here to Check Exam Details. BHU UET 2019 Admit Card will be Releasing Soon. 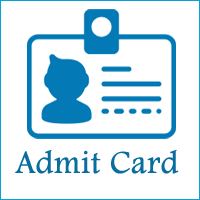 Click Here to Admit Card Details. BHU UET 2019 Registration has been Extended till 16th March 2019. Click Here to Check Application Details. BHU UET 2019 Admit Card will be Releasing Soon. Hall tickets will be out for the candidates who have given their application successfully and on time. Candidates will have to use their same Email id and password to download their hall tickets from the official website. Candidates will have to save a copy on the mobile or laptop and also will have to print multiple copies for the hall for the candidates. Hall tickets is a very important document as it works to enter the examination hall for the candidates. Candidates will have to keep their hall tickets very carefully till the exams are over. Candidates who will not carry their hall tickets to the examination hall center will not be allowed inside for the test. Candidates will also have to carry an extra copy of the hall ticket which can work as an identity proof for the candidate. Marks will be out on the official website by the authorities of the university. Candidates will have to use their username and password to get their marks as it will be different for everyone. Candidates will have to follow the rules and regulation to get the results. 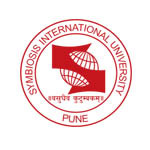 Candidates will have to mark to get for the merit list and then the counseling process. The Result will be Out on 15th to 20th June 2019. The counseling choice will be depended on the marks of the candidates who have done well. Suppose the candidate will use their name in the merit list that means that they will be chosen for counseling. Candidates will have to fill in the form for counseling procedure. It is important for the candidates to carry their documents while coming for the counseling as they will be needed for the verification procedure. Candidates who fail to pass the verification procedure will be rejected and sent back. Candidates will have to register from the official website after applying their email id personal information. BHU UET 2019 Registration has been Extended till 16th March 2019. Candidates will have to use their user id and password for the form. Candidates will have to fill in their details first, and then the details should be mentioned the same on the 10th and 12th. After that, candidates will have to fill in the educational information like the marks they got from the university name and more. Candidates will also mark their course choice, as they have to select a center on the application form itself. After all the details have been filled in rightly, the candidates will have to scan their passport size photo and signed copy in that format itself. After this part is finished, the candidate will have to pay for the application form fee online through net banking or debit/credit card. ST OR SC category candidates will have to pay RS 250/= as per application fee. After the fee is paid, the candidate will have to check the form which has been filled and keep copies for reference. After everything looks good, the candidate can give the application. Candidates should pass their HSC examination to get registered for the entrance examination. Candidates who get 50% for HSC examination can apply for this examination. Candidates should be at least 20 years of age, but they should not be 20 or above at the time of registration. The examination paper will have 150 questions in total. Candidates will have to complete 2 hours for this exam. The exam paper will have a set of topics such as General awareness, Current affairs, Legal aptitude, and English Comprehension & Mental ability. For every correct answer candidates will get three marks. For every wrong answer, 1mark will be deducted. Always keep your mind fresh to study. Exercise every day so that you can be fit as a fiddle. Group study is essential so that it every candidate will get some knowledge. Go through past papers which you can get from the library. Important dates & years in Indian history. For any other queries about BHU UET 2019, you can leave your queries below in the comment box.